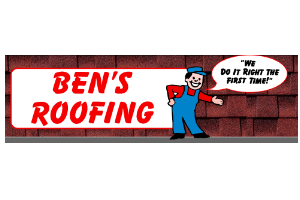 Looking for Roofing Contractors in the Sarnia area? Our expert listings feature experienced roofing professionals for consultation and suggestions regarding roofing solutions and free estimates. If you're more interested in longevity and maintenance of existing roof shingles, our roofing experts will be more than happy to consult with you on the best ways to maintain your roof. Our listings of tried and true roofers do only the best work for our residential and commercial businesses, no matter how large or small the project. As we all know, your roof is the first defense your home has to offer against nature. With proper installation and repairs along with professional grade products, our listed roofing contractors provide leak-free roofing, long-lasting shingles, quality flat roofs, and more. If you’re looking for roofing contractors in the Sarnia area, use ImRenovating.com to find the very best roofing companies. Allow one of our listed roofing companies to handle all your roofing needs. The Sarnia area Roofing Contractors proudly assess roofing needs and offer experienced suggestions to improve your residential, commercial or industrial property. Roof Replacement help increase the market value of any property while dramatically improving its appearance at a comparatively reasonable cost. ImRenovating.com provides local business listings which showcase top rated roofing contractors in the Sarnia area offering roofing solutions for residential or commercial roofing and re-roofing services. As a Homeowner, there are more and more choices of Roofing Contractors to choose from, some Roofing Companies offer Steel Roofing alternatives to standard Roofing Shingles, as opposed to new Steel shingle options, often referred to as Metal Roofing. Many Roofing applications require a flat roof or Roofing Membrane systems such as EPDM or Built-up Roofing. These types of roofs are also problematic and require roofing maintenance and frequent Roof Inspections as they are prone to roof leaks. In many cases, the Roofing Contractors are experienced in varying roofing systems to offer the New Home Construction and Home Improvements Industry a one call alternative. Feel free to search roofing contractors in the Sarnia area of I’m Renovating.com Listings. Our industry leading roofing experts know what it takes to get the job done right, on schedule, and on budget. Our roofing contractors use only the best Roofing Materials available on the market backed by factory warranties for your peace of mind. In most cases our roofing companies also offer a written labor guarantee to accompany the materials warranty so you can rest easy. If your home or business is in need of a new roof or roofing repairs, call one of listed Roofing Contractors in the Sarnia area to obtain your free no-obligation roofing quote. The expert roofers you will find in our listings are experienced in repairs for roofs and siding, and can help solve any problems you may be immediately. Your roof not only safeguards your precious family and belongings; it also protects the largest investment you own, your home! Experienced roofing contractors offer many Roofing Services such as waterproofing, flashing, framing as well as fixing leaks and roof troubleshooting. Roofing Companies in the Sarnia area also provide asphalt and fiberglass shingles, Metal Raised Seam Roofing, roof tile and clay roofs, slate, cedar shakes and shingles and flat membrane roofs. Our Sarnia area Roofers utilize the most up-to-date techniques in the industry for both new construction and corrective projects. Combined, our experienced roofers have years of waterproofing knowledge and a long-standing reputation for quality work which make them the natural choice for waterproofing and restoration projects alike. In addition to roofing projects, some of our listed roofing experts even do masonry work for chimneys. These expert crews have repaired and rebuilt a number of chimneys throughout the Sarnia area. From metal flashing's and stainless steel liners to rain caps, your chimney is in good hands when you hire one of our expert teams. 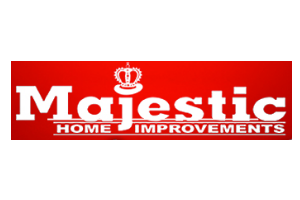 When you make large house renovations like getting your roof replaced, you want someone who can help you with new or old style roofs. It doesn't matter what type of roof you have, Flat Roofs, steel roofs, Cedar Shake Roofs, residential or commercial we can help. Through the listings you find on ImRenovating.com, you will be able to choose from a wide range of materials like low-maintenance and environmentally friendly clay roofing to aesthetically appealing options like natural cedar. Regardless of your choice, you can rest assured that every element of the job, including all ventilation, will be handled correctly. Our teams of expert roofers have you covered from small, residential roof repairs to complete commercial roofing projects. The listed roofing companies you find on ImRenovating.com are focused on providing a premium service through the supply of the highest quality materials and exceptional Roofing installation practices. 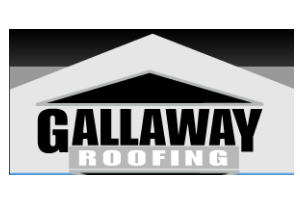 Their competitive pricing, combined with quality workmanship, will make you confident that you made the right choice for your roofing project. For all Top Quality Residential and Commercial Roofing Contractors in The Sarnia Area, look no further than the Roofing Contractors section of ImRenovating.com, The Sarnia Area's Ultimate Trade Guide! 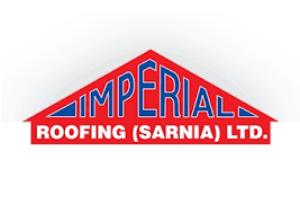 View Roofing Contractors Photos From: Imperial Roofing (Sarnia) Ltd.
- Imperial Roofing (Sarnia) Ltd.